Moviegoers didn't have much to go on with the mysterious "10 Cloverfield Lane," but the words "Cloverfield" and "J.J. Abrams" were enough. The Abrams-produced monster movie, a so-called "spiritual successor" to 2008's found-footage hit "Cloverfield," opened with a better-than-expected $25.2 million, according to studio estimates Sunday. That was good enough for second place to the Disney animated hit "Zootopia," which stayed on top with $50 million in its second week, a slide of only 33 percent from its opening weekend. The weekend's biggest disappointment was Sacha Baron Cohen's "Brothers Grimsby," which flopped with a mere $3.2 million. It's a career low box-office debut for the shape-shifting British comedian by a wide margin. Perhaps sensing trouble, Sony Pictures had postponed the release date of the R-rated comedy numerous times. Whereas Cohen's most popular characters - Borat and Ali G - were deployed largely to satirize America, moviegoers showed less enthusiasm for the British parody of "Brothers Grimsby," a poorly reviewed R-rated, U.K.-set spy comedy. With the multiplexes stuffed with R-rated offerings ("Deadpool," ''London Has Fallen," ''Whiskey Tango Foxtrot"), the acclaimed "Zootopia" has had family audiences all to itself. The film, which imagines a metropolis inhabited by animals, will have little competition before "The Jungle Book" arrives in mid-April. Taking in $83.1 million internationally over the weekend, "Zootopia" has already made more than $430 million globally. "With the marketplace loaded with R-rated fare, if you're a family with kids, the only game in town right now is 'Zootopia,'" said Paul Dergarabedian, senior media analyst for comScore. "That film is reaping the benefits of studios somehow not realizing: 'Hey, there's a big void in this marketplace.'" The directorial debut of Dan Trachtenberg, "10 Cloverfield Lane," arrived with the opposite kind of hoopla that preceded Abrams' previous film, "Star Wars: The Force Awakens." The release of "10 Cloverfield Lane," made for just about $13 million, wasn't much advertised until an ominous Super Bowl spot. "From a marketing level, it's a challenge when a movie takes place in a relatively enclosed space and you're promising but not showing a bigger final act," Colligan said. "But I think part of the excitement and mystery around the 'Cloverfield' name led to the promise that something exciting was going to happen, and the trust in J.J. as a brand that he delivers." Making little impact in their debuts were Lionsgate's romantic comedy "The Perfect Match" ($4.2 million) and Focus Features' Christian tale "The Young Messiah" ($3.4 million). 1. 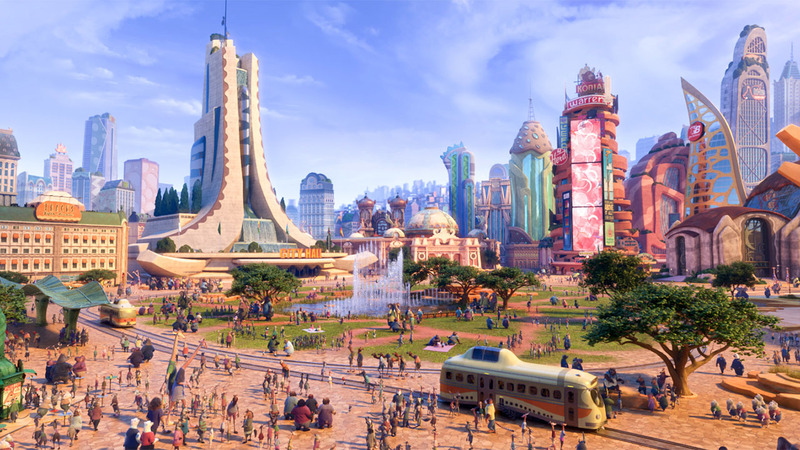 "Zootopia," $50 million ($83.1 million international). 2. "10 Cloverfield Lane," $25.2 million ($1.5 million international). 3. "Deadpool," $10.8 million ($11.3 million international). 4. "London Has Fallen," $10.7 million ($12 million international). 5. "Whiskey Tango Foxtrot," $4.6 million. 6. "The Perfect Match," $4.2 million. 7. "The Young Messiah," $3.4 million. 8. "The Brothers Grimsby," $3.2 million ($3.2 million international). 9. "Gods of Egypt," $2.5 million ($26.4 million international). 2. "Kung Fu Panda 3," $28.6 million. 3. "The Divergent Series: Allegiant," $26.7 million. 4. "Gods of Egypt," $26.4 million. 5. "Ip Man 3," $13 million. 6. "London Has Fallen," $12 million. 8. "The Revenant," $6.9 million. 9. "Hail, Caesar!" $3.8 million. 10. "The Brothers Grimsby," $3.2 million.